The Depclaration of Independence and Individual Rights are generally assumed to be based on the concept of self-ownership. For instance, the article Who are the Real Liberals? 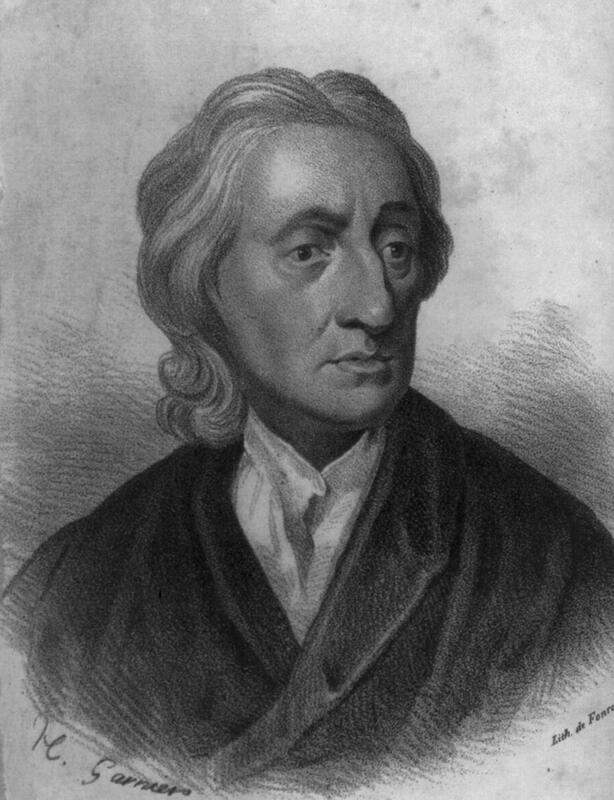 in the American Thinker states “self-ownership entails an inviolable right to our lives, liberty, and property, which at the same time entails a prohibition from violating the rights of others.” According to the Article Jefferson was even accused of plagiarizing John Locke in writing the Declaration of independence. According to Nathaniel Branden in an article entitled Reflections on Self-Responsibility and Libertarianism argues that the United States stood “Freedom. Individualism. Private property. The right to the pursuit of happiness. Self-ownership.” And Walter Williams, the conservative economist states “That Americans have joyfully given up self-ownership is both tragic and sad” in an article entitle AMERICANS HAVE GIVEN UP SELF-OWNERSHIP. But now Leonard Peikoff, of the Ayn Rand Institute, says we got it all wrong and the idea of self-ownership is dangerous. This issue goes to the source of all property rights. Leonard Piekoff, the founder of the Ayn Rand Institute and a philosopher, in a podcast asks if there a difference between the principle of self-ownership and the principle of individual rights? He first restates the questions as is there a difference between someone being the owner of their life and that he has a right to life? His answer is yes there is definitely a difference. Peikoff argues that ownership is a relationship between you and some external object. As a result it makes no sense to say you own yourself. Next he suggests that ownership is about possession. Finally, he says this whole idea of self-ownership is some sort of Conservative conspiracy and a bad idea. Others have argued against self-ownership because if you can own yourself then it implies that you can be owned by others. The conservative that Peikoff seems to be arguing with is John Locke, the 18th century philosopher responsible for the idea of Natural Rights that underpinned the US Declaration of Independence. Locke stated “every man has a property in his own person: this no body has any right to but himself. The labour of his body, and the work of his hands, we may say, are properly his.” (Second Treatise on Government, Ch. 2, Sect.27.) Now some people have argued the preposition ‘in’ here does not imply self-ownership. This is based on a misunderstanding of property rights. A property right is a moral and/or legal claim to a right of action. Or as Ayn Rand, the philosopher and author of Atlas Shugged, states it “Bear in mind that the right to property is a right to action, like all the others: it is not the right to an object.” Self-ownership then is the right to action with respect to oneself. Peifoff has used the wrong definition of property and variously confused property with possession and only applying to external objects. Possession may be one right that comes with property rights, but you may own a house and then lease it to someone else. If you do that you have traded your right to possession. Property is often confused with the object itself or with possession of the object, but as Rand’s definition makes clear this is conflating different concepts. –Ellis Wyatt, Atlas Shrugged, Pt. 3 of book. Now it is true that Rand also said that “The right to life is the source of all rights.” (The Virtue of Selfishness, 93), but given all her other statements I think it is clear that she is talking about the right to one’s own life, not a disembodied right to life. Clearly, Locke was not relying just on a deity for his support of self-ownership. Rand’s genius in ethics was to show that self-ownership was the result of the unique nature of man, namely that he is a rational animal. His survival requires his ability to exercise his own reason and when others attempt to limit his ability to use his mind, they are acting in a way that is inconsistent with his survival. Peikoff argues that being the owner of your life is different than the right to life and I agree. If you are the owner of your life you not only have the right to life, but you have the right to create property, the right to free association, the right to travel freely, and on and on. A naked right to life does not provide any of these things. Peikoff might argue that the right to life includes those things necessary to sustain that life. But if you are being provided food and shelter enough to be alive, your right to life is being observed even if you are a slave or in a prison. Ownership of oneself is absolutely vital to Rand’s and Locke’s idea of the origin of property rights. If you own yourself then you own those things your produce, but if you do not own yourself then there is no reason why the things you produce would be your property. Image an unowned robot that produces furniture or cakes. Without self-ownership, there is no reason for the robot to own those things he produces. Self-ownership is not the axiom on which individual rights are built, it is a derived intermediate concept. However, it is a common starting point in a conversation about individual rights because it is easy to comprehend and is familiar to people who grew up in the United States or most common law countries. 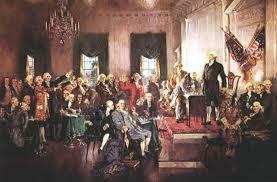 The idea of self-ownership is incorporated into the Declaration of Independence and in common law. Sir William Blackstone’s Commentaries was the most important treatise on common law in the 19th century. Locke’s idea of self-ownership permeates Blackstone’s Commentaries. Starting with the idea of self-ownership one can build a logical system that is almost as exact as Euclidean geometry. That system explains why we have property rights, how they arise, and who is the rightful owner of the property. It also explains why murder is illegal, why slavery is illegal, why theft is illegal, in fact most of our common law criminal law. It also explains contract law, why we have a right to free association, right to self defense (including the right to bear arms), right to free speech and on and on. It is an extremely powerful tool. Does self-ownership open up the possibility of you being owned by someone else? If so this would be a powerful reason to avoid the concept of self-ownership. The default position is that you own yourself (morally) under self-ownership, so to be owned by someone else you would have to sell yourself. This means you would have to enter into a contract. But a contract requires two people who are able to enter into and fulfill it. Someone who does not own themself is not competent to enter into or fulfill a contract. The second you enter into a contract to sell yourself to someone else you no longer have the capacity to contract so the contract is invalid. In addition, for a contract to be valid it is necessary that both parties provide consideration. When you sell yourself into slavery you are not receiving any consideration, since you have no right to anything as a slave. Attempting to sell yourself into slavery is a logical contradiction. Self-ownership does not lead to the idea that you can be owned by others, but the exact opposite. Some might complain that this argument is too legalistic. But we are talking about property rights and contracts and therefore the philosophy of law applies. Property rights and contracts have definitions and logical conclusions and one of those logical conclusions is that you cannot sell yourself into slavery because it is an invalid contract. Self-ownership is not the axiom on which individual rights are built, but it is an intermediate concept that is consistent with individual rights. When starting from an intermediate conclusion it is always important to be aware of the underlying fundamentals to avoid making a mistake. Self-ownership means that you have a property right in your life and property rights are a right to action. This means that self-ownership encompasses the right to life, but it encompasses so much more. As opposed to the in vague idea that property rights are the result of scarcity. $120 Per Smartphone in Royalties – Outrageous! * The $120 Smartphone Patent Tax: Patent Royalties Cost More Than The Actual Hardware In Your Phone: This one from my favorite patent Luddite site, Techdirt. The logical flaw underlying all these articles is that the value of products is determined by the amount of physical labor and/or the cost of the underlying materials. On this basis, the actual material costs of a cell phone are probably less than $5 and the labor (unskilled labor in the US is worth perhaps $10/hr) involved in making the phone might be worth $5, let’s throw in $10 for distribution and the hard costs of a smartphone are about $20. [i] The rest of the costs are the result of intellectual property, much of which is in the form of patents, but some is in the skilled labor, copyrights and trademarks. The actual cost of the intellectual property in a smartphone is closer to $380.00. Much of these costs are hidden. For instance, when Intel sells a microprocessor they charge you $50, for example, but the labor cost and material cost of the microprocessor is pennies. The reason they can charge $50 is because of the intellectual property, which means patents. From an economic point of view you are paying a dollar or so for the manufacturing and $49 in patent royalties. Another logical flaw in these articles is that this is an unsustainable business model. First of all the underlying paper points out that sales of smartphones and tablets is now bigger than all the rest of the consumer electronics space, with over a billion smartphones sold in 2013. Clearly the business model is not falling apart. Second of all, the cost of Microsoft Office Home and Business 2013 is $219.00 and none of that is manufacturing cost. The cost of Microsoft Office is essentially all IP (Patents, Copyrights, etc.). Solidworks, which is 3D CAD software, cost $4000.00 and also has essentially no manufacturing costs, which means you are paying the equivalent of $4000 in royalties. The argument that the model is unsustainable is absurd. The paper that started this economic stupidity is The Smartphone Royalty Stack: Surveying Royalty Demands for the Components Within Modern Smartphones. The paper is clearly designed to sway public and Judicial opinion in a manner that will be beneficial for Intel. Namely, Intel wants a patent system that emphasizes manufacturing, not inventing. Another goal of the paper is to get courts to reduce the amount of royalties that inventors receive. This statement is absurd on its face, as the paper itself points out. I will admit that having courts set royalty rates is not ideal and the results can be squirrelly, which is why eBay should be reversed. The courts used to just prohibit the infringer from using the patented technology and then the parties had to work out a deal. But the Supreme Court decided that enforcing the only right you get with your patent is an injunction – actually it is not an injunction it is an exclusion order requiring the infringer to not trespass on (use) the patent owner’s property. The paper admits that its methodology is limited and the actual cash cost going to pay royalties could be higher or lower. For instance, the paper does not track cross licensing, pass through, or patent exhaustion, all of which could significantly reduce the actual royalties paid. They clearly made an error if they did not account for patent exhaustion. If patent exhaustion was part of the royalty costs, then almost every high value component’s price is mainly due to patents. Correctly accounting for patent exhaustion would show a royalty per smartphone closer to the $380.00 per phone as explained above. The paper is just dishonest when discussing the growth in the number of patents issued and the number of patent lawsuits. It shows in 20 years the number of patents issued in the US has increased from 100,000 per year to 250,000 per year. The implication is that this is an absurd increase in the number of issued patents, but if you do the math this turns out to be a 4.75% annual increase, about the same as the increase in worldwide GDP over the same time period. The paper also shows a graph depicting the number of patent lawsuits exploding around 2011. This increase is due to the America Invents Act, which limited the joinder of defendants in patent lawsuits. This has been well documented, as in the article The America Invents Act at Work – The Major Cause for the Recent Rise in Patent Litigation. The paper’s failure to point this out is just outright fraud. The fraud is perpetrated again when the paper points to the increase in the number of NPE lawsuits. These authors seem to have gotten their training from Al Gore and French economist Thomas Piketty. [i] In fact you can buy cell phones for less $30.00 on the Internet. The cost of materials in a smartphone and a $30 cell phone is essentially the same. The material costs in a cell phone include the plastic which costs several cents, the metal for the conductors which might be worth a dollar, the silicon which in its raw form is worth almost nothing. The authors (Sven Bostyn and Nicolas Petit) of this paper, PATENT=MONOPOLY – A LEGAL FICTION, argue that patents are not a monopoly based on standard antitrust analysis. It is very unusual for an academic paper to take such an unpopular position. They must have not got the memo that the goal of all academics is to vilify inventors, patents, and property rights. Below are some the lines I thought were interesting and my comments are below. No other property right is so expensive, time consuming and expensive to obtain title to. Coy Koontz in the 1970s bought a parcel of land, the majority of which later was classified a wetland. When he sought a permit to develop a portion of it in the 1990s, the Florida agency in charge of the area said Koontz would need to take steps to remediate the damage he would cause. Koontz offered to give the agency 11 of the 15 acres, in exchange for a permit to develop the remaining land. In addition, the state government said he would need to undertake other improvements. Options ranged from numerous changes to the original plot to paying for enhancement of 50 government-owned acres miles away from the Koontz plot. Though Koontz continued to offer the 11 acres, he refused to go along with the government’s other requirements and decided to sue. Antonin Scalia’s comments at oral argument illustrate this lack of understanding of property rights. “I can’t see where there’s a taking here,” Scalia said, adding, “Nothing’s been taken.” Ronald Reagan must be rolling over in his grave – he appointed Scalia (For more of Scalia’s outrageous thoughts see The Soviet Union’s Constitution Was ‘Much Better Than Ours’). Scalia’s thought process, as best I can understand it, is that Koontz still has legal title to his land and his land is still there – it was not taken. Judge Scalia seems to not understand the difference between property rights, possession, and the object. (For more information click here) Property rights define a relationship between a person and an object or thing. When Mr. Koontz acquired title to the land, it did not have lien or an easement that required him to give up a part of land or pay for the enhancement of government land. The government changed his rights in the land. The Fifth Amendment states “nor shall private property be taken for public use, without just compensation.” Mr. Koontz right to develop his property and his right to enjoyment of his property have clearly been altered without compensation. The government has taken these rights in his land for public use, so it is clearly a taking. Scalia has also shown an appalling lack of understanding of patent law and it is because he does not understand property rights. Property rights derive from the fact that a person owns their self and therefore they own those things they create. 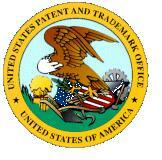 Patents are property rights that the inventor gets because they created a new invention. Mr. Koontz attorneys work for the Pacific Legal Foundation. This group does good work protecting economic freedom, but they also do not understand property rights either. At least one of their lead attorneys believes intellectual property should not exist – see Another Confused Libertarian on Intellectual Property . These people believe that property rights exist or should exist only because they result in more optimum economic outcomes. Really, they should call they them ‘property privileges’ or ‘property expediencies.’ Their commitment to so-called property rights only lasts until they are convinced they know what better to do with your property. So what we have is a case in which the supposed defenders of property rights do not understand them. What do you think the likely outcome will be? When the so-called defenders of property rights, believe they are just a political expediency that produces the best outcome for the collective, you can bet they will never support patents, which are property rights in an invention. I have seen patent attorneys attempt to use this line of reasoning with patents. They are happy to have people characterize patents as a monopoly, but think this is irrelevant because they can show patents are good for the economy. These people do not understand the philosophical battle over patents or the definition of a monopoly. They believe that because the anti-property rights crowd believe in monopolies for electrical and water systems, they will be in favor of monopolies for inventions. However, they forget that in the electrical and water systems case the anti-property rights crowd supports this because it increases government power, not for the bogus efficiency argument. But patents increase the power of the individual, not the state. So it does not matter how well you can show that patents are important for economic growth and improve everyone’s life, they will not favor it because it increase the power of private citizens. Property rights are derived from the right to own oneself. If you do not own yourself, you are not free and do not live in a free society. If you own yourself, then you own that which you produce, including inventions. The patents are monopolies argument is without any merit from a historical, definitional, and empirical point of view. Understanding that patents are property rights is the key to both solving the patent problem and the Koontz case. For more on patents and monopolies see. Monopoly/Rent Seeking vs. Property Rights/Intellectual Property . This post explains the characeristics of a monopoly and a property right and poses three questions to show the difference. Patents fit all the characteristics of a property right and none of a monopoly. Note that professional license, such as a law license has some of the characteristics of a monopoly. More on the Myth that Patents are Monopolies.